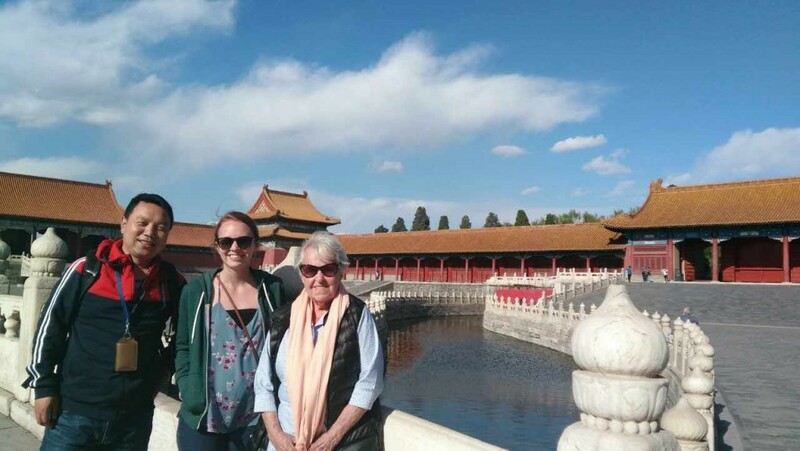 Tour Description: Beijing Airport layover to Forbidden City and Tiananmen Square tour. Pick-up by our private English-speaking tour guide upon your arrival. The Forbidden City is the largest imperial palace complex in the world as well as a UNESCO World Heritage. The majestic architecture is quite impressive. The Tiananmen Square is the geographical center of Beijing City. It is the largest city square in the world. Be transferred back to airport after the tour. My layover will be on April 19th, we’ll be landed at 8.15 am and the next flight will be at 20.00 pm. Do you suggest the Forbidden city or the Great Wall? Can you suggest a group tour less expensive than the private one? Thank you. F.
Sorry, your arrival time is too late, we do not have a group tour suitable for you. 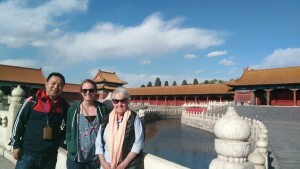 You can only do a private tour to visit the Great Wall and Forbidden City. We will send you an email about the tour options, please check later. Thank you! Sorry! We do not think you can do a tour. Your layover time is very tight. 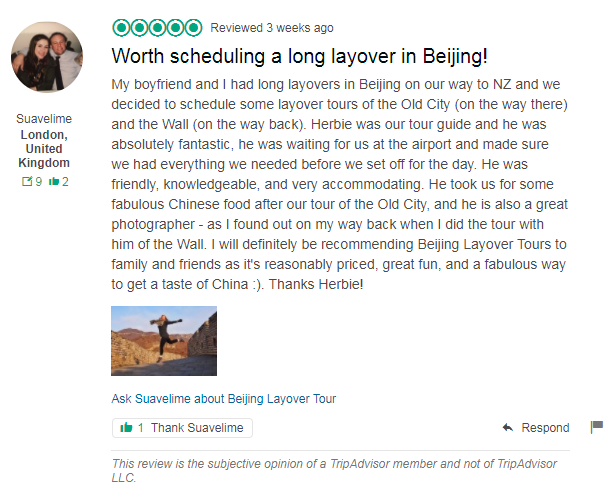 Your layover tours seem great! What about if the layover is late? We have a layover from 16:15 to 00:30. Are there any possibilities for us? Thanks and hopefully see you soon. Your arrival time is late. We do not have tours by then. Sorry about that! According to your layover time, you will have enough time to visit the Forbidden City or Great Wall.